Leslie Woodriff, 1957. 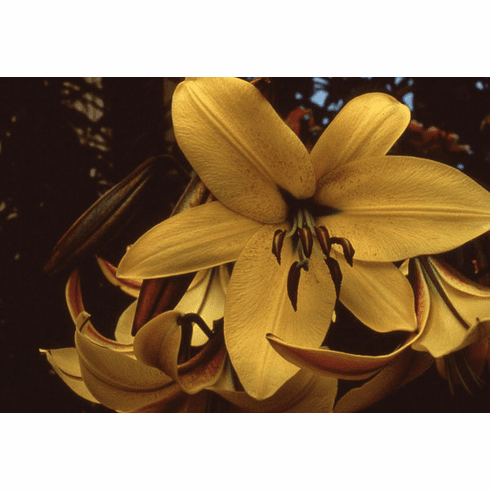 Introduced by Strahm Lilies 1972. This lily was also marketed by Mr. Woodriff as 'Giant Flat Yellow'. Photograph B & D Lilies.